HP PC reported a fan failure and would not boot. Trouble shooting showed failure was power out on the motherboard fan connector. 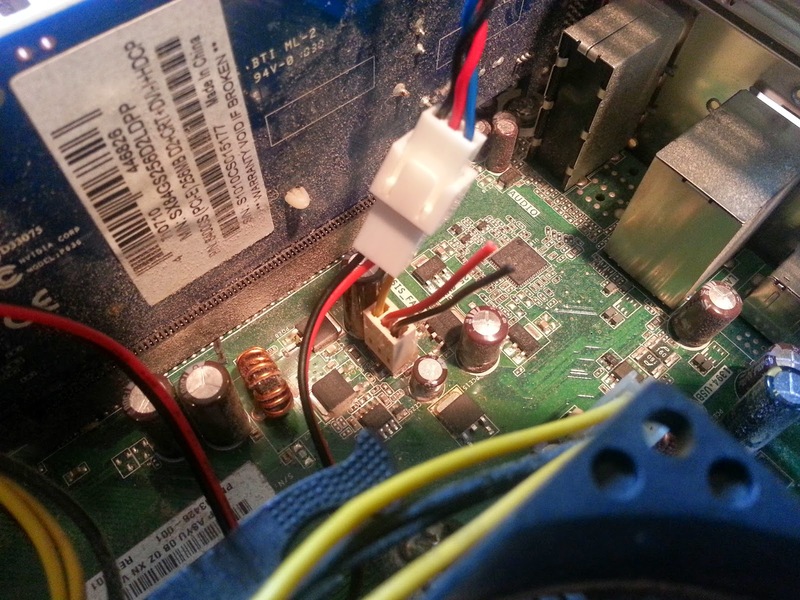 First picture shows slice to pickup power from one of the SATA power lines. 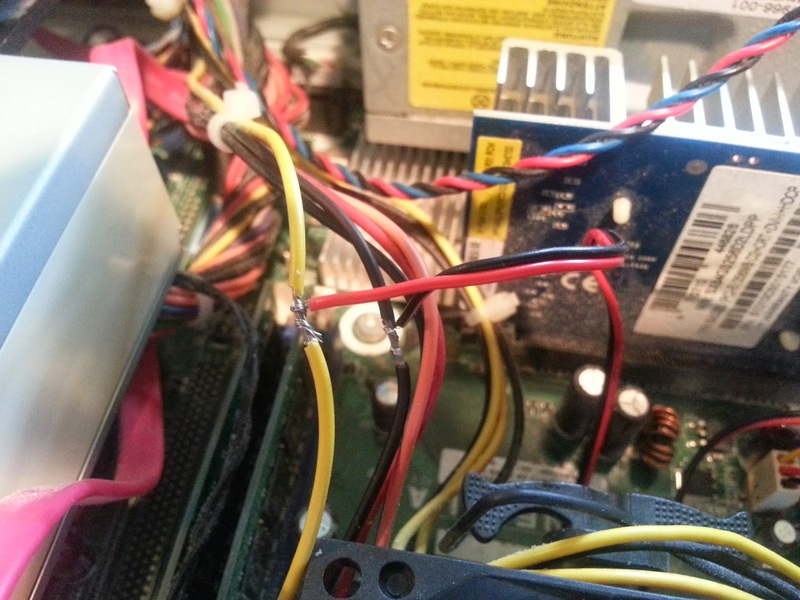 Second picture shows connector sending tach signal back to "failed" motherboard fan connector. Power out from this connector was bad but it still recognizes the good tach signal and now proceeds to boot.